We are having a major blueberry moment in our house. Yesterday we went through two pints of blueberries. That is a lot, FYI. Luckily for us, blueberries are like natural vitamins for your body when you consider their health benefits: packed with cancer-fighting, anti-aging, eyesight-saving and disease-fighting antioxidants. 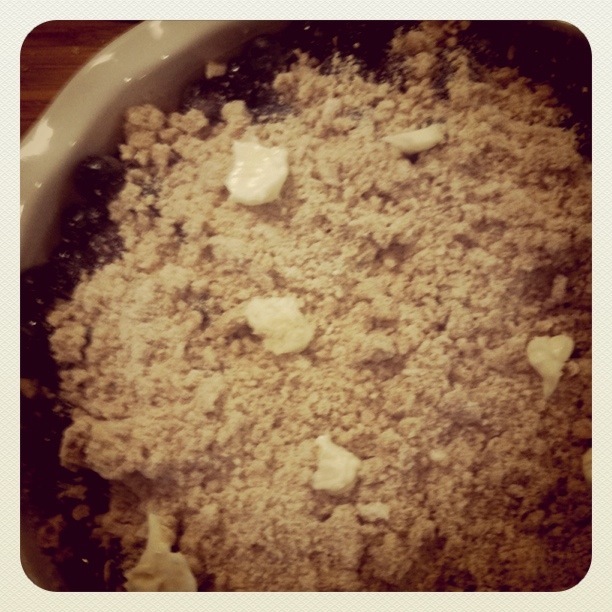 So, last weekend when we were having a BBQ Birthday party and my sister-in-law’s house I went for the perfect summer dessert, blueberry crumble, made gluten free and dairy free to accommodate everyone’s needs. In a large bowl wash and rinse all of the blueberries, and keep an eye out for any pesky stems. 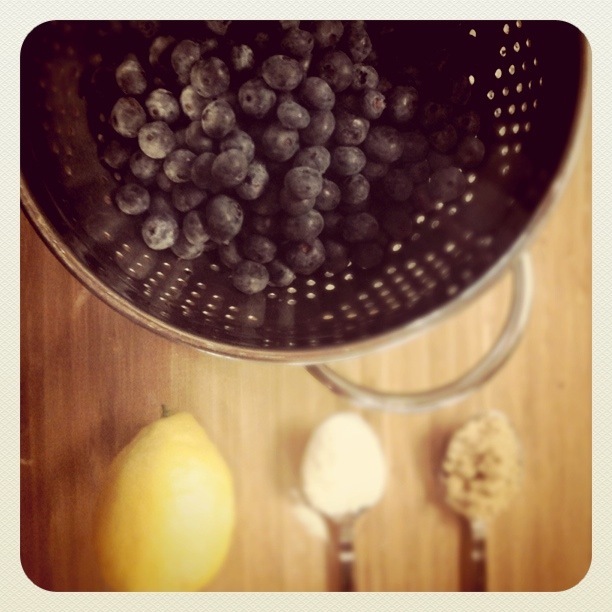 Shake to dry and then add the lemon juice, sugars and cornstarch. Gently mix the berries and sugars and allow it to set for a few minutes. The juice will begin to form, and the cornstarch will take effect to keep it from getting too thin. 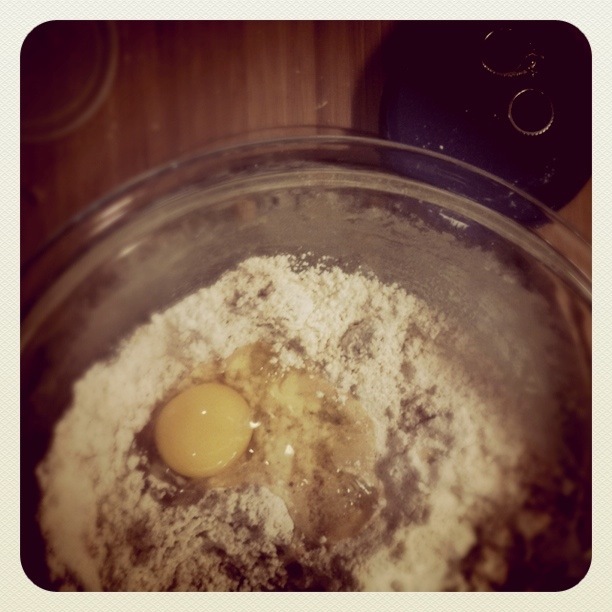 With your rings off, mix with your hands the flours, sugars, and egg. 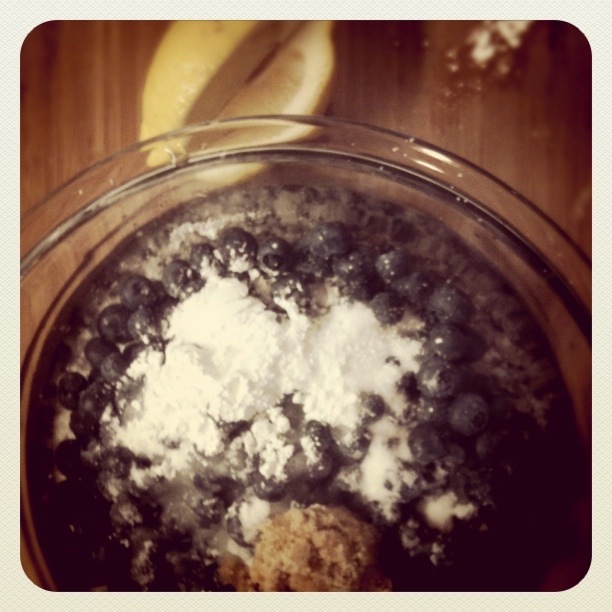 The mix should be “crumbly” and hold a small shape if you were to pack it with your fingers. Pour the topping on top of the blueberries, leaving about a half inch of blueberries at the edges. Dot the top with small pieces of “butter”. Bake in 350 degree oven for 40 minutes, or until the top is evenly browned and the blueberries’ juice is bubbling and bright. Share this with friends, family, or eat it all by yourself – this is a perfect, healthy forkful of summer in every bite! 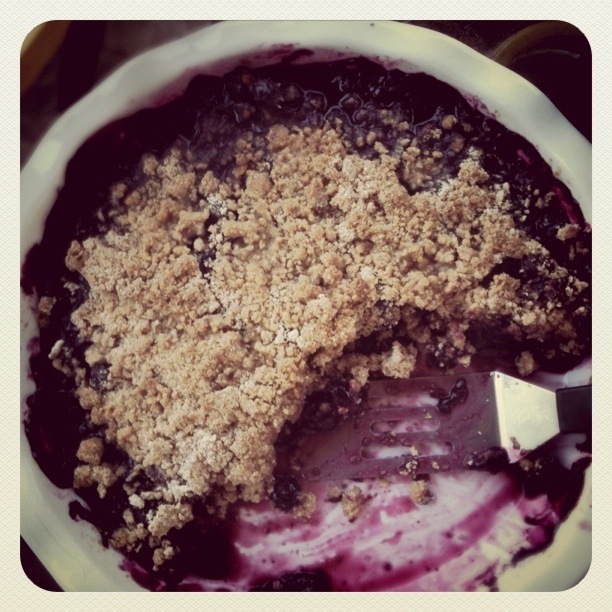 This entry was posted in Baking, Dessert, healthy, Her Kitchen, Seasonal, summer and tagged blueberry, blueberry crumble, blueberry pie, dairy free, gluten free, gluten free dessert recipes, healthy dessert recipes, summer dessert, summer pie. Bookmark the permalink. Thanks! It got very good reviews :). You can also use regular all purpose or whole wheat flour.